It’s no secret that just like the headboard in your bedroom is the focal point of the room, the coffee table is the headboard of the living room. It’s a place where you can really show off your style; on the other hand, you can also display your lack of style if you miss the mark. 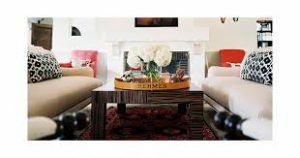 Below are great ideas to style your coffee table the way that interior decorators do! Tip: don’t forget to use big coffee table books as accessories. The first thing you’ll want to do is create a grid. When you arrange objects in a grid-like form, you create an effect that will give off a harmonious vibe; this works especially well when the arrangement mirrors the seating arrangement of the room. Consider adding a beautiful vase which will create a contrast in terms of texture, and height at the center of the table. You can easily create this “grid” with coffee table books. Choose accessories that are a variety; mix glass with wood, or possibly stone. Don’t forget to vary the heights of the items on the coffee table. This will create visual in terest and let the eyes move up and down. Never put accessories that are too tall, as it will not only obstruct views in the living room, but it also looks awkward, and will make it hard to have a conversation when you have people over! Use a simple design. Add flowers, a beautiful acrylic or wooden tray, and a glass vase. You want to have a group of items that diversity in terms of shape and style. In other words, you want them to be a collection of items, that all flow together nicely. One coffee table book sometimes looks the best, but often, it can get “lost” in terms of the design. Never be afraid to layer books. Use two on one side of the coffee table, and three on the other, for example. You can also use more than one coffee table, depending on the size of the room! Nested tables are beautiful, and you can display even more accessories from your collections. Coffee tables are a great place to put a beautiful tray. You can take small objects and put them all onto the platter; this creates a visually attractive group. However, you must consider the finish of the tray in terms of the finish of the table. For example, you don’t want a wooden tray on a wooden coffee table. Go with acrylic, or lucite. You always want to use odd numbers if the items match. For example, if you put a candle, never use one candle, put three. It looks much more to scale, and you want your coffee table design to be to scale. 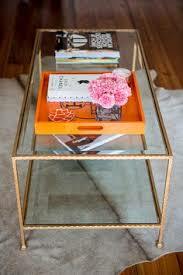 Consider adding crystals in an acrylic box; this is always a beautiful, go-to style for coffee tables. 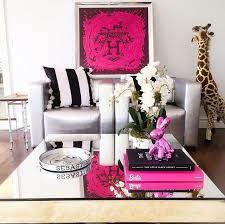 Of course, your design style will also depend upon the size and height of the coffee table you choose. 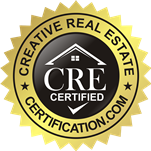 Some homeowners choose a low coffee table; one that sits lower than the seating in the room. Consider putting an orchid on the coffee table, as that is always a beautiful look. You can also barely go wrong using hurricane candle holders. Decorating the coffee table is always so much fun! I like to rearrange mine every so often, to freshen it up when I get bored of it. I love to pull accessories from other parts of the home, and grab different books from my library. I have somewhat of an addiction to buying coffee table books. They’re beautiful and I use them to accessorize in various areas of my home.